The creation of the ISoP Latin America Chapter was officially announced in October 2009 at the Annual Meeting in Reims (France). The main objective of this chapter is to develop educational activities with the aim to increase knowledge and to ensure trainings in the field of Pharmacovigilance. We would like the Latin-American chapter to be an independent forum for people working in regulatory agencies, academia, hospitals, and also in pharmaceutical companies. 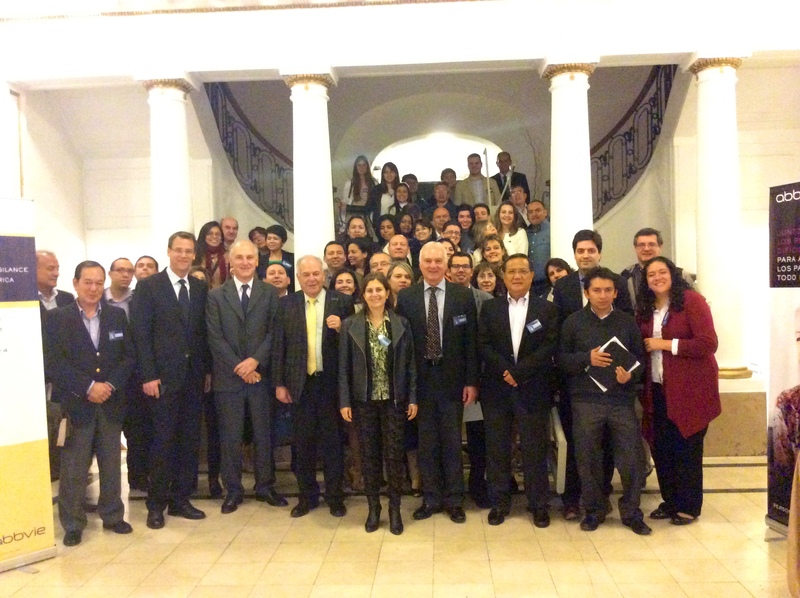 Since its creation, new members from Latin America have joined ISoP. 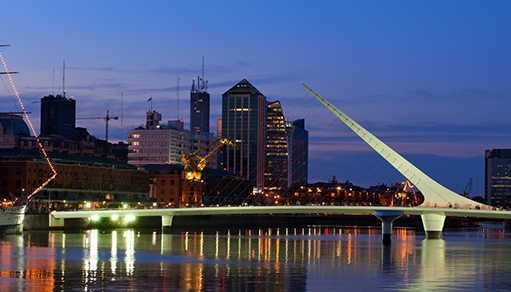 The very first beginning of this chapter was the ISoP 8th Annual Meeting, held in Buenos Aires, Argentina, and organized by the Argentina Society of Pharmacovilance as local team. This idea was born in 2002, at the 2nd ISoP Annual Meeting: Murilo, Luis, Luisa and Raquel dreamt there about an ISoP Meeting held in Cataratas del Iguazú, the wonderful falls situated in the border of Argentina and Brazil. 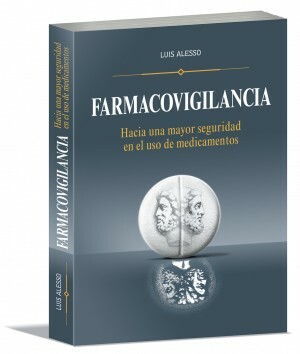 And the work of disseminating educational material in our languages (mainly in Spanish) started several years later: a Pharmacovigilance book in Spanish was published in 2007 with the aim of providing some useful information in a format easily available for clinicians and with contents adapted to their needs and interest. Between 2007 and 2009, Spanish translations of WHO Drug Information were published by the SAFv, with the same objective. Published in September 2007, in collaboration with the International Society of Pharmacovigilance, this 300- page textbook is an important contribution to Pharmacovigilance literature in Spanish with a particular focus on Latin America. It is well referenced and contains many diagrams and tables. The aim of this book, targeted at clinicians, general practitioners and medical and pharmacy students, is to emphasise the importance of pharmacovigilance to enhance and improve patient safety, and physician’s reports, as well as stimulate spontaneous reporting, and dismiss the misconception that pharmacovigilance is unfeasible in developing countries… (Uppsala Reports 40, January 2008, UR40 January 2008). The 5th Symposium of the ISoP Latin-American chapter was held in the School of Public Health, Sao Paulo University, on 29th and 30th October 2018. Topics included: Pharmacovigilance and Public Health, Pharmacovigilance in Universities, Signal Detection, Risk Management Plans in Latin-America, Challenges in Biotherapeutics, and Registries, among others. There is a limited number of free registrations available only for ISoP members who live and work in Latin-american countries. This free registration includes the attendance to the sessions and coffee-breaks and light lunchs during the 2 days Symposium. In collaboration with the ISoP Mexico Chapter. The 4th Symposium of the ISoP Latin-American chapter was held in México city, México, as part of educational activities organized with the aim to increase knowledge and to ensure trainings in the field of Pharmacovigilance. The venue was the conference room of the Hospital Ángeles Acoxpa. The programme included the Importance of Pharmacovigilance in Public Health, Educational Strategies in Pharmacovigilance in Universities, Studies in Pharmacovigilance, Risk Management Plans at global and local level, Increasing and Improving spontaneous reports, Pharmacovigilance from the view of patient and Pharmacovigilance in Biotherapeutics among others. ISoP members living and working in Latin-American countries enjoyed a complimentary registration, kindly offered by the sponsor. 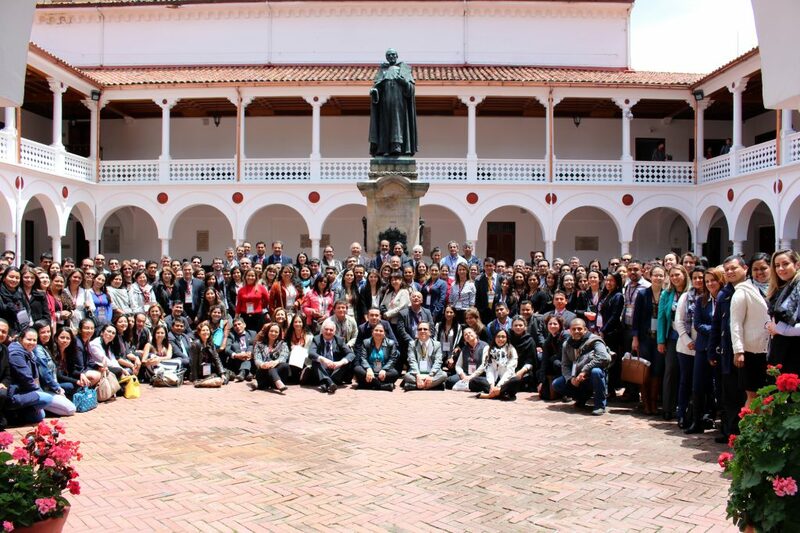 A vibrant and crowded Third Symposium of the ISoP Latin-American chapterwas held in the Universidad del Rosario, Bogotá, Colombia, on 25th and 26th August 2016, under the chairmanship of the President of the Latin-America chapter, Prof. Luis Alesso. The Scientific Programme, coordinated by Raquel Herrera Comoglio, focused on the present situation of Pharmacovigilance in the region, medication errors and local implementation and results of risk management plans. This Symposium was also an important opportunity to introduce the recently established Colombian Association of Pharmacovigilance. Speakers contributing include those from Colombia (Carlos Maldonado Muete, Jorge Machado-Alba, Carlos Bustamante Rojas, Rosa Ángela Caro Rojas, Dieric Díaz), Brazil (Cristina Andrusaitis Sandron and Eliane Rodrigues de Castro), Argentina (Laura Onetti and Raquel Herrera Comoglio), ISoP Executive Committee (Brian Edwards and Luis Alesso), the Uppsala Monitoring Centre (Pia Caduff) and Regulatory Agencies from the wider Americas (Ariel Arias, Health Canada), Rosana Ramírez (INVIMA, Colombia), Márcia Gonçalves de Oliveira (ANVISA, Brazil) and Paola Elena González Martínez Rogelio Ríos Quintana (COFEPRIS) who all shared their expertise and experience. The audience participation, as arranged by the Colombian Association of Pharmacovigilance, exceeded expectations with 206 enthusiastic attendees from 10 countries: Argentina, Brazil, Colombia, Chile, Guatemala, México, Spain, United Kingdom, Uruguay and Sweden. Among these, there were 44 Universities representatives, 18 from Latin-American Medicines Agencies (15 staff members from the Colombia INVIMA), Government, Community Hospitals and Health care institutions’ staff and 74 Pharmaceutical Industry representatives. The generous sponsorship of FIFARMA (Federación Latinoamericana de la Industria Farmacéutica) allowed all of them to participate in the Symposium free of charge in the charming environment of the venue. The organizers, Luis Alesso and Raquel Herrera Comoglio, especially acknowledge the hosting arranged by the Universidad del Rosario, and the welcoming words and participation of Ana Isabel Gómez Córdoba, Vice-Dean of the School of Medicine. 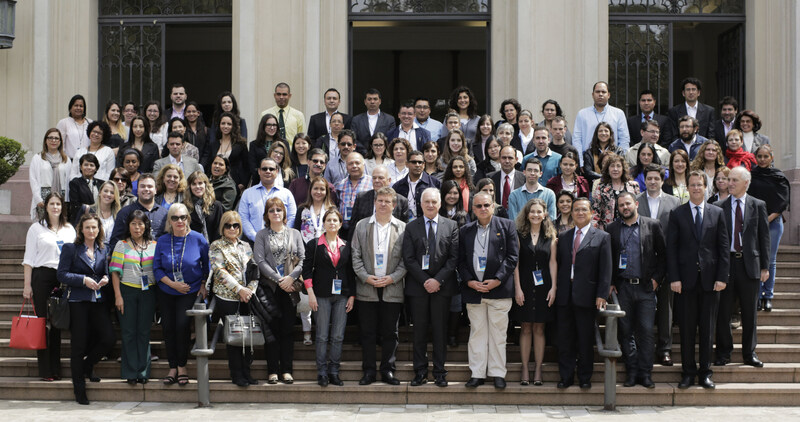 The Second Symposium of the ISoP Latin-American chapter was held in the Public Health School, Sao Paulo University, Brazil, on 10 and 11 September 2015, under the chairmanship of the President of the Latin-America chapter, Prof. Luis Alesso. 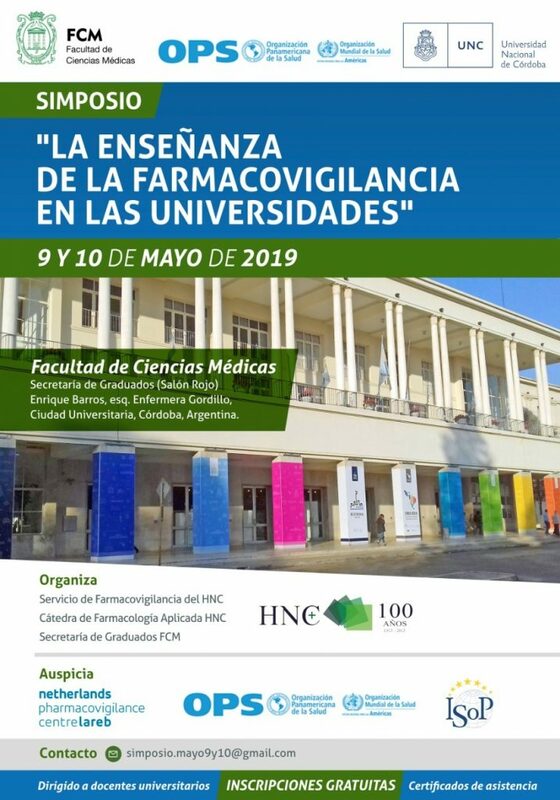 The Scientific Programme, coordinated by Raquel Herrera Comoglio, was a well-balanced combination of the fundamental basics and practice of pharmacovigilance, as well as the most recent challenges in drug regulation and use. Usefulness and the current place of spontaneous reporting in the region and the systematic collection and analysis of adverse effects in patients’ registries deserved special attention in relevant presentations. Speakers from Brazil (Adalton Ribeiro, Anthony Wong, David Titton, Eliane Rodrigues de Castro, Fernanda Vianna, Maria Eugenia Cury and Valderilio Azevedo), Argentina (Laura Onetti, Gustavo Casado, María Teresa Serra and Pedro Lipszyc), ISoP Executive Committee (Brian Edwards and Hervé Le Louët) and the Uppsala Monitoring Centre (Elki Sollenbring and Pia Caduff) contributed with their expertise and experiences to lively sessions. This symposium was supported by FIFARMA (Federación Latinoamericana de la Industria Farmacéutica), and their sponsorship allowed free-registration and ensured a smooth and efficient logistic. 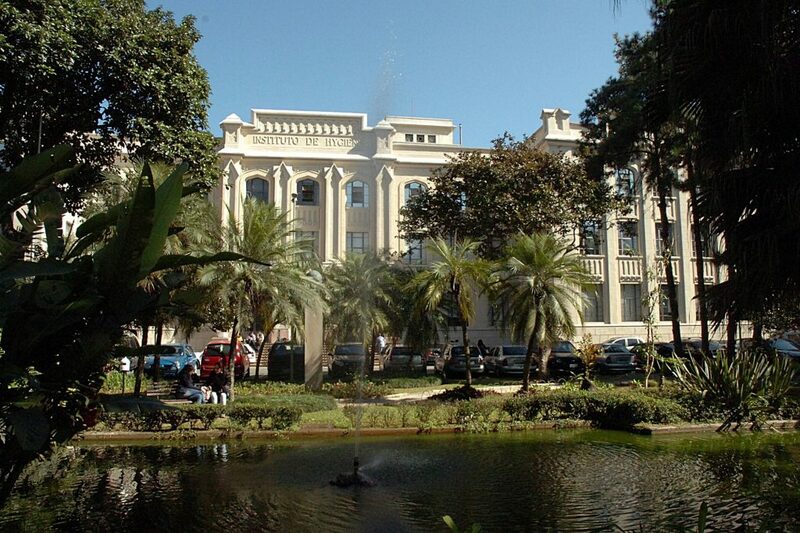 The organizers, Luis Alesso and Raquel Herrera Comoglio, especially acknowledge the School of Public Health of the Sao Paulo University, one of the most prestigious Latin-American Universities, for having provided the venue for free, and particularly its representative at the Meeting, Prof. Nicolina Romano Lieber, for her interest and participation in the event. 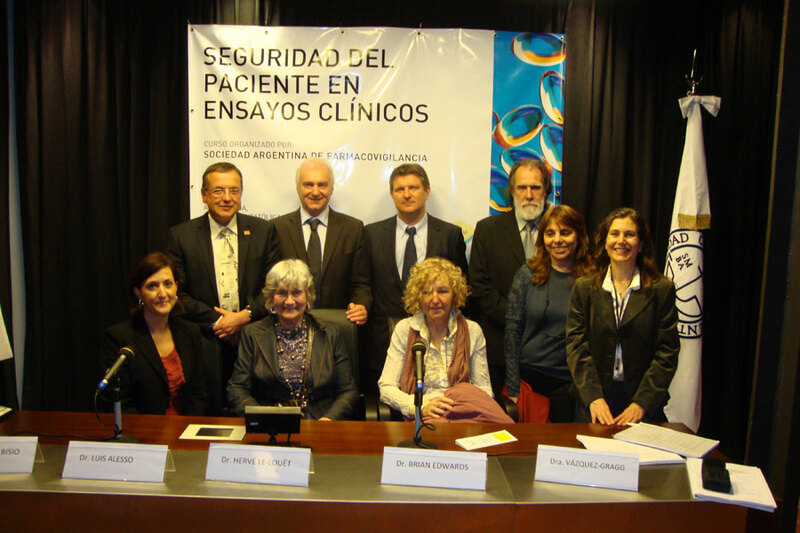 The first Symposium of the ISoP Latin-American chapter, held in Argentinian Medical Association, Buenos Aires, Argentina, on 2nd and 3rd October 2014, was organized by Prof. Luis Alesso and Raquel Herrera Comoglio. 60 professionals (ISoP members and non-ISoP members) attended the Meeting. The course conceived by Brian Edwards and coordinated by Raquel Herrera Comoglio was attended by 60 professionals from CROs, Universities and Pharmaceutical Industry, as well as staff from Regulatory Agency. Speakers were: Luis Alesso (ISoP), Brian Edwards (ISoP), Hervé Le Louet (ISoP), Susana Vásquez (EE.UU), Agustina Bisio (ANMAT), Inés Bignone (ANMAT), Pablo Bazerque (Past Director of ANMAT). Dr. Pedro Lipszyc, Guillermo Di Girolamo and Roberto Diez acted as chairmen.